I give it five stars because this rear Hugger is exactly as they described and designed with racing in mind. That being said, I did not buy it for racing and here’s a street riders point of view. Packaging was good and delivery was quick considering I am on the opposite coast. There were no directions for installation, but this isn’t a tough one to figure out, so that’s no big deal. It fit well, but I believe since it is designed for the track, the manufacture had planned for the Hugger to be installed without the chain guard in place. I thought this would probably create some chain lube fling-mess under the tail section and I wasn’t thrilled about the idea of additional cleaning, so I tried fitting it with the chain guard in place and I was able to do so with no problem. 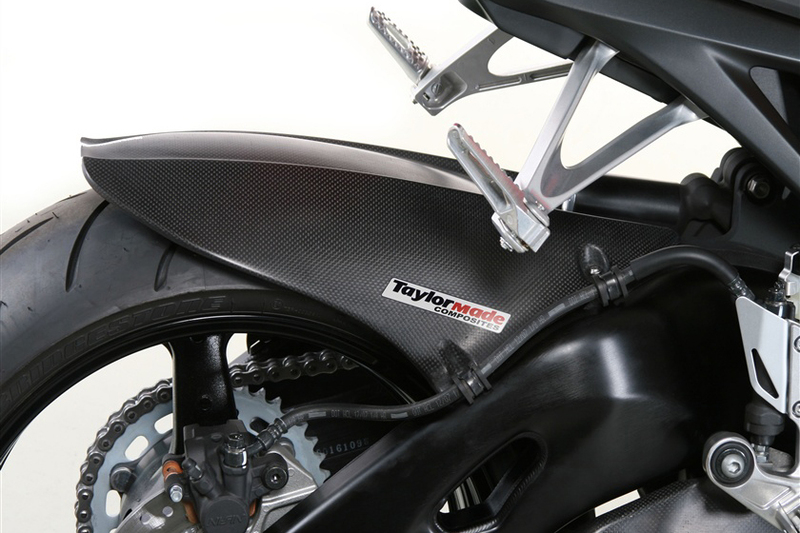 On the other side of the swing arm there are two metal fastening brackets that hold the rear brake line in place. 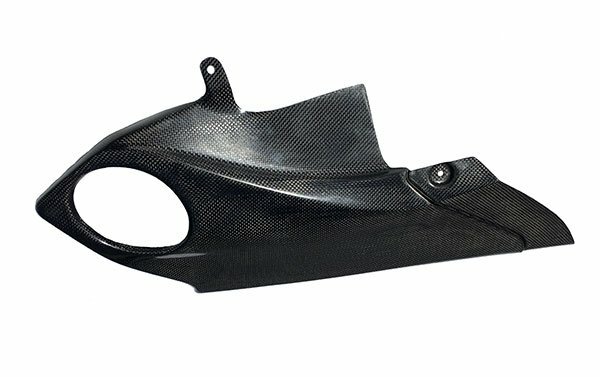 These brackets have little downward tabs that align with small holes in the swing arm to keep the brackets from twisting. Those tabs will need to be bent upward or cut off to allow the new hardware bolts to sink flush. They bend up easily, don’t be discouraged it’s not a big issue and it only takes a moment to do. 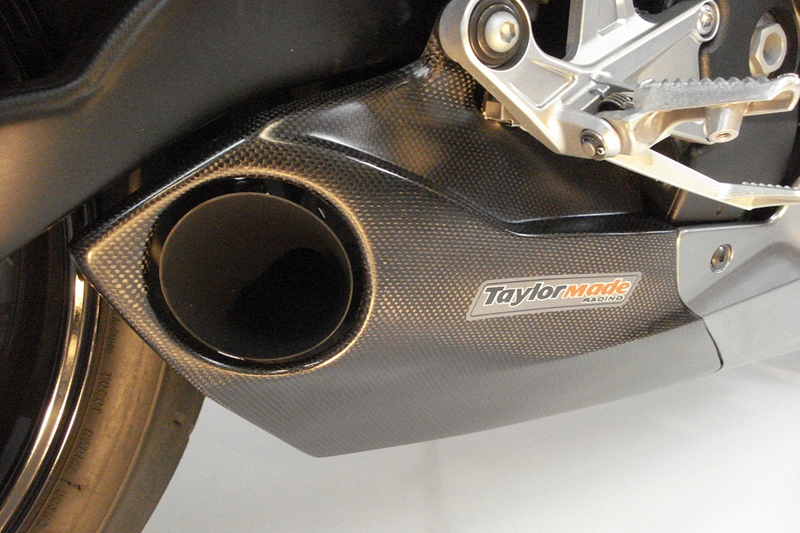 The product is feather light and has a great looking Carbon Fiber weave. The finish was not dull and flat, nor was it high gloss. It was shiny-ish; think semi gloss. 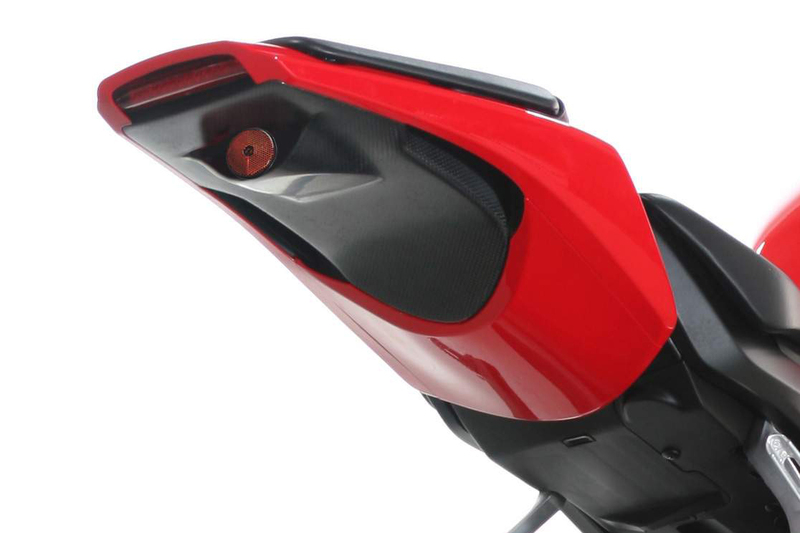 Looks good on my 2016 matte black CBR 1000rr and it will match any paint scheme out there. 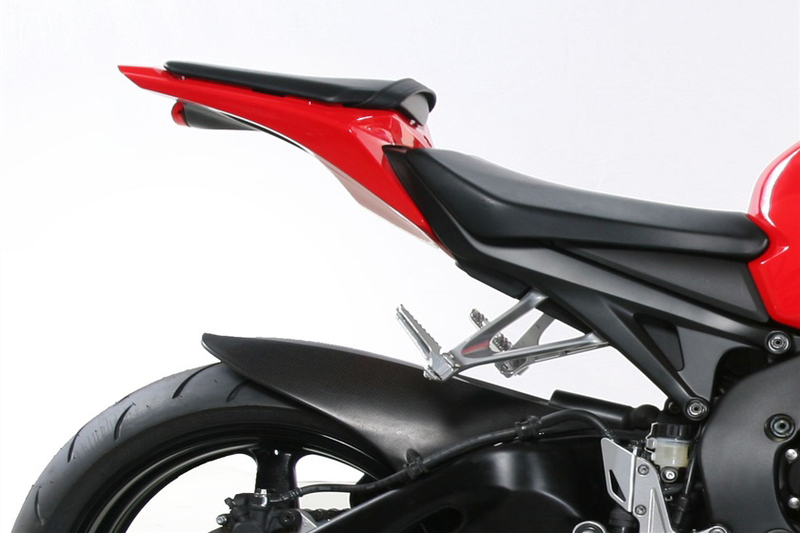 As far as looks, it does add a little more body work, that in my opinion, takes slightly away from the aggressive, openness of a cleaned up (fender eliminated) tail section. 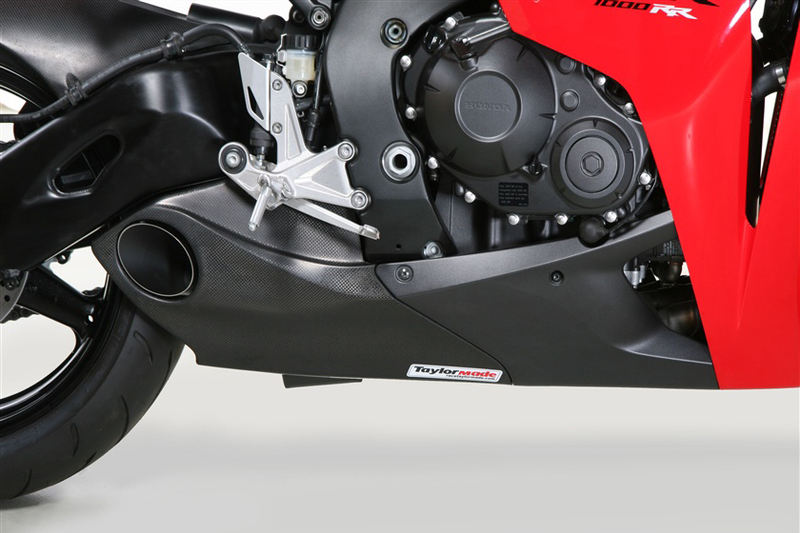 But the benefit is the reduction of rear tire spray from wet riding all over the area where the shock is mounted, along with less sand or dirt in those hard to clean places, plus the added aerodynamics and true bragging rights of having true super-bike equipment on your ride. It is not the cheapest option out there, but you only live once and you should treat yourself to the best life has to offer when you can. This IS the best, so buy it, be happy and don’t crash.